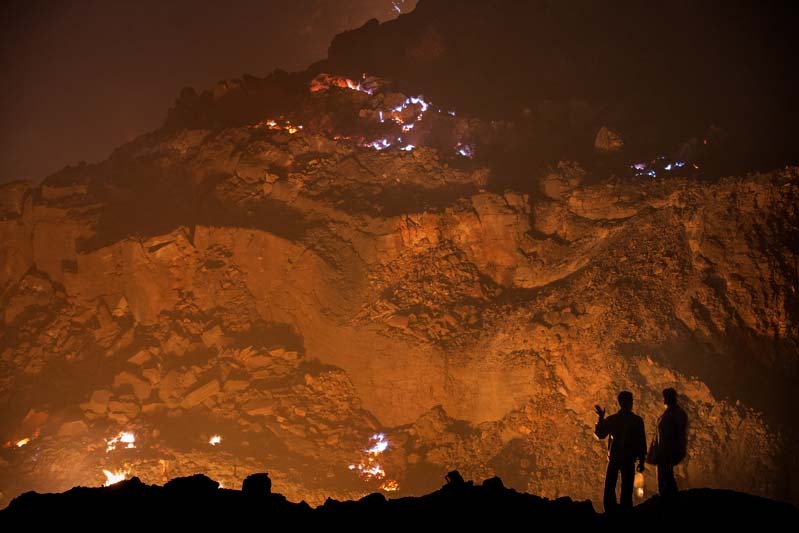 "The earth is on fire"
In the city of Jharia and surroundings, an underground fire has been burning since 1916 - or even longer according to the locals. The fire probably started when abandon coalmines was not properly closed. The fire evolved in to more than 70 underground fires. The inhabitants use the fire to warm themselves on cold winter nights, to dry clothes and sometimes even cook food.